Free passport photo software support Most countries. Totally free software for passport photo and ID photo. Save time and money $ 10-15 and 30-60 min waiting. Free passport photo software support Most countries. Totally free software for passport photo and ID photo. Save time and money $ 10-15 and 30-60 min waiting. You can choose print it at your printer or to export Jpeg files with 6-8 passport photos on one 4X6 photo paper at the nearest photo lab for 10-15 cents only. Printing at home or at your office gives you immediately results. Easy to use software just import your portrait photo and you can do all the necessary adjustments with the software tools. 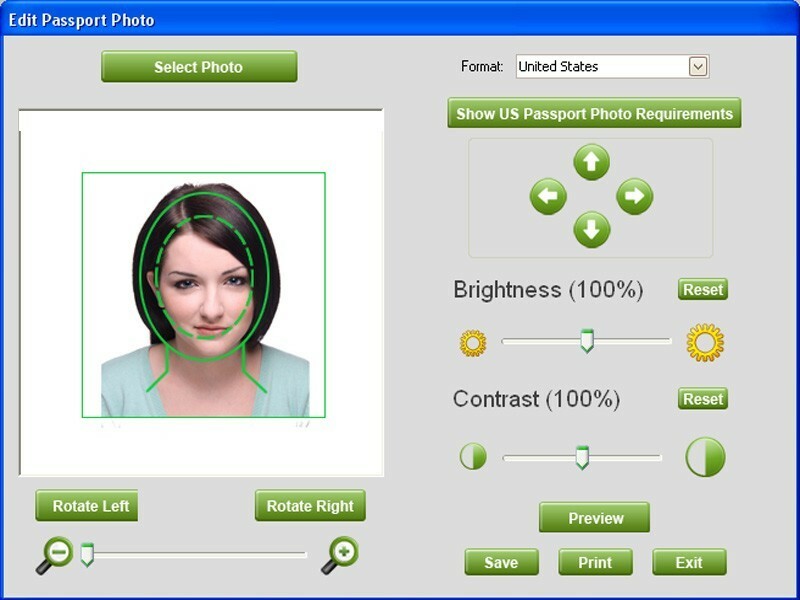 Passport photo software is only one module of 5 other modules in the software and it is totally free for unlimited time. This software package called CamToPrint allow you to create, share and print personalized photo books, calendars, greeting cards & invitations, collage enlargements and passport photos. CamtoPrint allows you to fully customize your creation and share it with your friends & family via FaceBook. Camtoprint has a very friendly and easy to use interface and gives you professional results that will astonish your friends & family. Use the software to create amazing gifts for any occasion. CamtoPrint offers a variety of backgrounds, templates, frames and Clipart which you can download and install for free. The user interface is very friendly and our flash tutorial will guide you step by step on how to get the best results. All you have to do is choose a product, drag and drop your images into ready made templates and for a great addition, you can also add backgrounds, drop shadow, frames and add text to make your story complete. If you need additional control over your photos you can also apply effects, color enhancements and more!. the finished creation can be printed at any home or office printer, or shared as a flash slideshow via Facebook. Key Features : Create, share and print at home 5 great photo products. Fully customizable - select the number of images, resize, rotate and more. Use "auto design" and your book will be done in less than a minute.